Since 1983, work has concentrated on the mechanisms that lead to internal erosion of earth dams with narrow puddle clay cores. A programme of field measurements of earth pressures within puddle clay cores and trenches to investigate the possibility of hydraulic fracture that initiates leakage will be described. An investigation at Greenbooth dam in 2007 will be used to illustrate the value and difficulties of installing instruments and of the interpretation of observations to investigate the likelihood of internal erosion at puddle core dams. Erodibility tests on puddle clay and the assessment of the downstream fill to act as a filter will be presented. 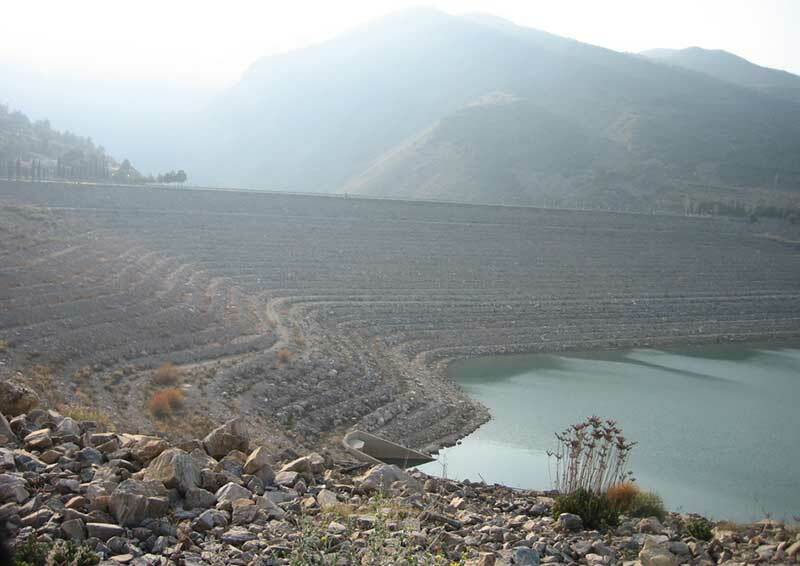 The effect of reservoir drawdown on the deformation behaviour of earth dams will be illustrated with a number of case histories where both surface and internal ground movements were measured over an extended period. The CIRIA guide, "Lessons from incidents at dams and reservoirs", which was published in 2014 provides a historical outline of the development of British safety legislation and engineering practice, together with a unique collection of 100 case histories of failures and incidents that have occurred between 1800 and 2012. It shows the close links between historical incidents and failures and the development of reservoir safety legislation and guidance. Some highlights of the guide will be presented. Paul Tedd spent most of his career working in the Geotechnics Division of BRE, gaining a PhD in 1986 on tunnel lining performance. The development of field monitoring techniques and the interpretation of observations has been an important and very enjoyable area of his work. Reservoir safety studies have formed a major part of his work since 1985. He is joint author of four National Guides and some 30 technical papers on dam safety. He was Honorary Technical Secretary of the British Dam Society from 1994 to 2003 and was awarded DSc in 2003. In 2012, he received the Bateman Award.